Since we patented the first-ever portion-control hand cleaner dispenser in 1952, we’ve always been committed to developing the most innovative dispensing systems on the market. That’s why today, we offer touch-free, manual, counter-mount dispensing options and specially-designed systems for tough environments like behavioral health facilities. Whether you need to dispense soaps, sanitizers, hand cleaners or wipes, you’ll find an option in our catalog that fits your needs. Hand sanitizer system that can be placed anywhere it is needed. 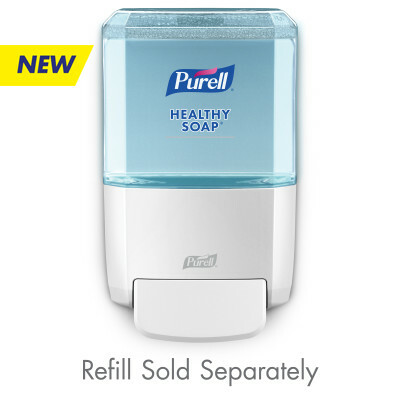 Reliable, easy to maintain, push-style hand sanitizer dispenser. Reliable, cost-effective push-style hand sanitizer dispenser. Reliable, cost-effective push-style soap dispenser. Advanced foam hand sanitizer formulation for professional environments. Advanced foam hand sanitizer formulation designed for foodservice environments. Spa-inspired, mild foam hand soap with pleasant fragrance. Efficacy and mildness come together in this effective antimicrobial hand soap. Specially-formulated antimicrobial foam hand soap for foodservice environments. 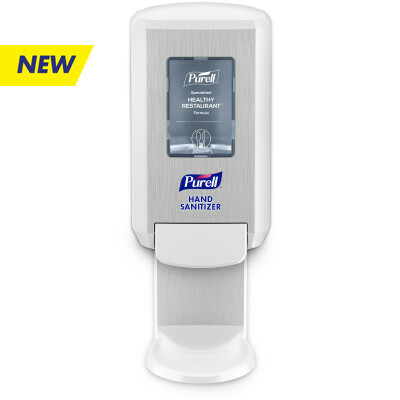 Reliable, easy to maintain, push-style hand sanitizer dispenser for K-12 schools. Reliable, easy to maintain, push-style soap dispenser for K-12 schools. Reliable, easy to maintain, push-style soap dispenser. High-capacity push-style foam soap dispenser. High-capacity, push-style foam soap dispenser for K-12 schools. Reliable, touch-free hand sanitizer dispenser. Green certified, fragrance-free foam hand sanitizer formulation designed for healthcare environments. Gentle foam formulation improves skin condition in high-use healthcare environments.